S/S MAY,2 SATURDAY,BETWEEN 12-5 PM, OPEN HOUSE MAY 3,SUNDAY 2-4 PM,WEEK DAYS SHOWING TIME 5-9 PM.OFFERS BY MAY 7,EVENING.2 BR REMODELLED CONDO,END UNIT ON UPPER LEVEL FACING EAST(CHARLESWOOD PARKWAY).LAMINATE FLOORING,OPEN WOOD BURNING FIRE PLACE.GREAT VIEW.CLOSE TO SHOPPING,SCHOOL,GOLF COURCE.PLEASURE TO SHOW. Directions: OFF GRANT AVE & ROBLIN BLVD CON Client Detail View w/Photo & Map Information Deemed Reliable, But Cannot Be Guaranteed. 05/08/2009 11:32 AM *NOTE: The amount shown is the education portion of the gross tax and is the amount allocated by the Provincial Government for education. Condominium 2906850 S/S MAY,2 SATURDAY,BETWEEN 12-5 PM, OPEN HOUSE MAY 3,SUNDAY 2-4 PM,WEEK DAYS SHOWING TIME 5-9 PM.OFFERS BY MAY 7,EVENING.2 BR REMODELLED CONDO,END UNIT ON UPPER LEVEL FACING EAST(CHARLESWOOD PARKWAY).LAMINATE FLOORING,OPEN WOOD BURNING FIRE PLACE.GREAT VIEW.CLOSE TO SHOPPING,SCHOOL,GOLF COURCE.PLEASURE TO SHOW. Directions: OFF GRANT AVE & ROBLIN BLVD CON Client Detail View w/Photo & Map Information Deemed Reliable, But Cannot Be Guaranteed. 05/08/2009 11:32 AM *NOTE: The amount shown is the education portion of the gross tax and is the amount allocated by the Provincial Government for education. S/S MAY,2 SATURDAY,BETWEEN 12-5 PM, OPEN HOUSE MAY 3,SUNDAY 2-4 PM,WEEK DAYS SHOWING TIME 5-9 PM.OFFERS BY MAY 7, EVENING. 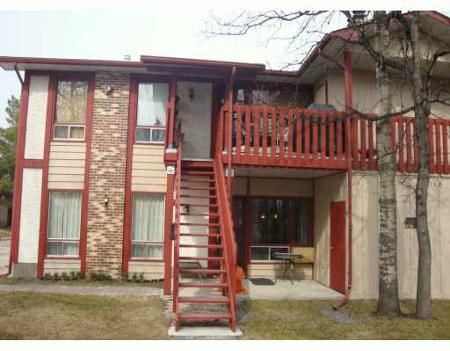 2 BR REMODELLED CONDO, END UNIT ON UPPER LEVEL FACING EAST(CHARLESWOOD PARKWAY). LAMINATE FLOORING, OPEN WOOD BURNING FIRE PLACE. GREAT VIEW. CLOSE TO SHOPPING, SCHOOL, GOLF COURSE. PLEASURE TO SHOW.